I keep returning to this new track from one of my favorite groups making music right now, Parquet Courts. The track absolutely rips from start to finish as it starts with some bombastic drums to highlight a frantic and jagged first half of the track that finds singer A. Savage waxing on the banality of life as well as attempting to reconcile the merits of breaking free from it. And then, shifting on a dime, the band transitions to a super tight, post-punky groove that is down right danceable. Throw in some wailing guitars and a few background chorus vocal “oohs and aahs” and you’ve got yourself a hit. 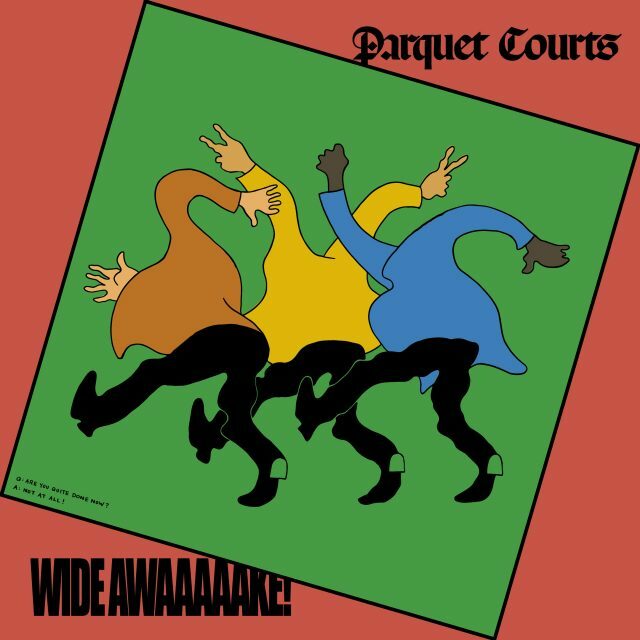 That’s what Parquet Courts hope to provide on their upcoming album “Wide Awake!“, as they have teamed up with producer Danger Mouse to provide a slicker sound without losing their signature obtuse edge.